The prime minister noted that an educated person was not just one who was intelligent, but one who had the ability to differentiate between right and wrong, as well as good and bad. There were many instances, he said, where so much destruction had been committed by very smart individuals. “The pursuit of knowledge should be a life-long endeavour, and more importantly it should be complemented with the right values and character,” Mahathir said in his commencement speech at the convocation of the Asia School of Business (ASB) Class of 2019 in Kuala Lumpur today. He spoke about the need for individuals to be guided by the right moral values compass and the need to learn how to be a better human being while continuing to pursue learning. “If we truly aspire to see societies progress and prosper, it’s incumbent that each of us to use the skills and knowledge we have acquired not just for personal gains, but to collectively contribute to the betterment of society,” Mahathir said. The prime minister said that as a nation, no investment would pay as high a dividend as the investment in education, describing it as an essential foundation for the country’s betterment and an effective tool for enhancing social mobility. “Driven by this conviction, we’ve made strengthening access to quality education as a key mission of our administration - now as well as when I was the prime minister earlier,” Mahathir said. In the speech, the prime minister also touched on the importance of enhancing productivity. 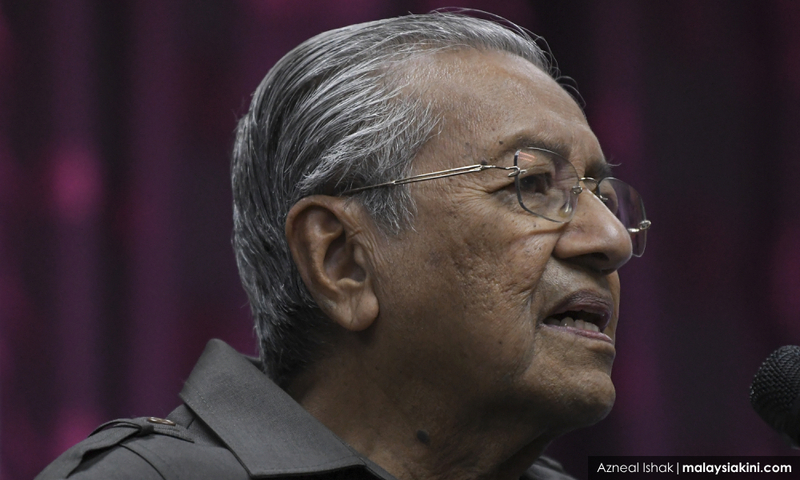 Mahathir shared that he was always reminded by economists and business leaders that productivity was an essential ingredient for economic progress. Higher salaries without higher productivity, he said, was meaningless as it would only lead to higher prices of goods and services. “One of the greatest challenges for Malaysian businesses today is to raise productivity across the economy. Our national standard of living and our ability to transform Malaysia fully into a developed economy status will be strongly influenced by our ability to raise our productivity rates,” he said. At today’s event, Mahathir received an honorary doctorate in Business Management from the founding president and dean of ASB, professor Charles Fine. A total of 40 people received their Master of Business Administration degree today. ASB is a global business school founded by Bank Negara Malaysia and Massachusetts Institute of Technology (MIT) Sloan School of Management in the United States.